At Optimal Health Family Chiropractic & Wellness Centre, we offer a Heart Rate Variability test which measures the Sympathetic Nervous System (fight or flight response) and Parasympathetic Nervous System (rest and digest). Studies have shown that heart attacks often occur when the sympathetic nervous system (the system that responds to anxiety, stress and strenuous activity) is over activated. For this reason, heart attacks can still occur when there are no blockages of the arteries. 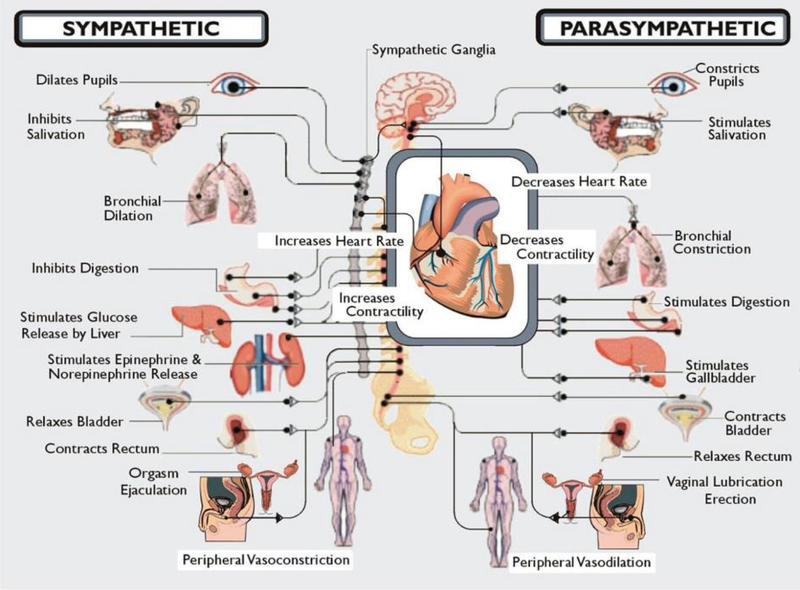 This test evaluates the balancing act between the sympathetic nervous system and the parasympathetic nervous system. An imbalance in HRV, heart rate variability, is a major risk factor for sudden cardiac death. The simple hand electro-sensor test shows you a report on the balance between your heart and nervous system in minutes. We offer this test on EVERY new patient exam. Call or e-mail us to book your appointment today! Check out our blog post on the nutrients you need to protect your cardiovascular system!